Four Seasons at Bakersfield by K. Hovnanian is an active adult community set among other desirable neighborhoods a few miles outside of downtown Bakersfield, California. If you long for a retirement in The Golden State, don’t assume that high home prices will put your California dreaming out of reach. While the West Coast does have many high-priced areas, there are also several attractive options for retirees on a budget. The following active adult communities offer condominiums, attached homes or single-family homes starting in the mid $100s or less. Built between 1963 and 1986, Laguna Woods Village is known for its architectural diversity and luxury resort-style amenities. This beautiful development includes 12,736 residences, seven clubhouses, 36-holes of golf, five swimming pools, an equestrian center and much more. K. Hovnanian’s Four Season's at Beaumont is an exclusive, gated community which offers plenty of support for an active adult lifestyle. This mid-sized community highlights finely-crafted homes, a premiere Southern California location, and world-class amenities. Featuring a natural setting in the lovely Walnut Creek area, Rossmoor contains 6,700 residences comprised of condos, attached homes, and single-family homes. The community offers a charmingly eclectic mix of home designs, as well as numerous resort-style amenities. Located just 10 minutes from Sacramento International Airport, Heritage Park is an active adult community which will appeal to retirees who love to travel or have frequent visitors. The spacious clubhouse provides many on-site social and recreational opportunities, while nearby Sacramento offers additional urban attractions. 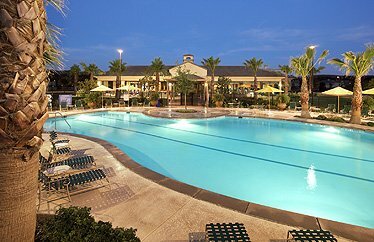 Outdoors at Solera Kern Canyon, residents can go for a swim in the heated pool or relax in the spa. With a planned 588 single-family homes, Solera at Kern Canyon is a more intimate Del Webb community which still offers plenty of recreational activities. In addition to the resort-style amenities found in the clubhouse, residents can stay involved with a variety of classes, clubs, and events. Welcoming residents 55+, Sun Lakes Country Club is a lovely active adult community located in beautiful Banning, California. While most of the community’s homes are ranch style single-family or attached homes, there are also some two-story homes and condominiums. 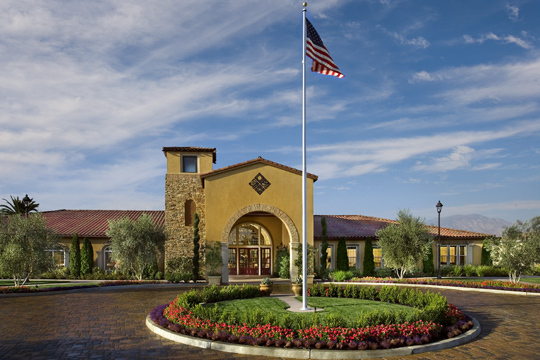 As the community’s social hub, a 14,000 square-foot clubhouse provides residents of Four Seasons at Bakersfield with numerous indoor and outdoor amenities. Single-family residences are currently available as both resales and new construction homes. Set among rolling hills in the desirable Bay Area, The Villages Golf & Country Club offers the atmosphere of a secluded resort, as well as close proximity to San Jose. Golf, tennis, horseback riding and hiking are just a few of the activities available in this spectacular active adult community. Unlike other active adult communities with only one developer, Terra Lago features five distinct neighborhoods created by four different builders. This has led to a diverse community which comes together around a spacious clubhouse and challenging 36-hole golf course. In Southern California’s Inland Empire area, retirees will love Del Webb’s Sun City Apple Valley. This thoughtfully-designed community features a wide range of recreational amenities, beautiful single-family homes and close proximity to many exciting destinations such as Los Angeles, Orange County, and Palm Springs.